Have I mentioned, lately, how fabulous my readers are? When I posted my Gooey Autumn Spice Brownie Cups last month, I received several other Gooey Brownie Cup suggestions, which I loved! Today’s cup combines some of my favorite childhood ingredients – brownies, sandwich cookies and peanut butter. Gooey Oreo Peanut Butter Brownie Cups are quick to put together, taste delicious and in the 18 minutes it takes to bake them, the dishes are clean and the kitchen looks like no one was even there. Fortunately, we know differently because the aroma wafting from the oven will tempt you to do something I strongly advice against: eating one straight out of the oven. How do I know? Because I gave in to temptation and you know what? Gooey Oreo Peanut Butter Brownie Cups are extremely HOT when they first come out. Once they cool, Gooey Oreo Peanut Butter Brownie Cups are perfect to give as gifts during the holiday season. They are sturdy enough to hold together when boxed or when placed in a cylinder tube and everyone loves receiving something sweet. Speaking of sweet, Dixie Crystals is going to help make this holiday season very sweet for two of you by sending each of you a case of sugar. I recognize that not everyone goes through 40 pounds of sugar the way I do. This will work out very well for you, because your package will contain four 10-pound bags of Dixie Crystals sugar. Then the choice is yours. Keep it all or share some of the sweetness with one, two or three of your friends. 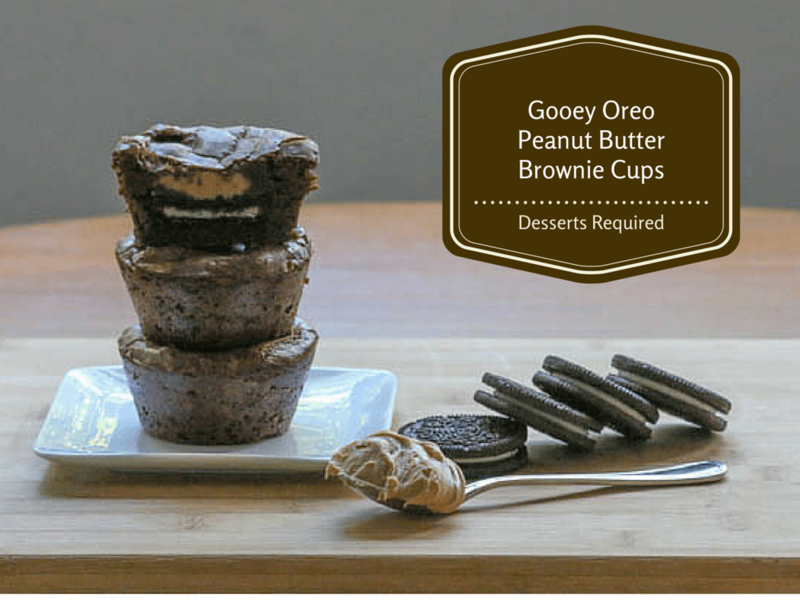 I suggest attaching a copy of this Gooey Oreo Peanut Butter Brownie Cups recipe to the bag. It may not be the subtlest of hints but who knows, you may find yourself on the receiving end of some delicious Gooey Oreo Peanut Butter Brownie Cups made with the very sugar you so graciously shared! Be sure to check out how to enter the Dixie Crystals Sugar Giveaway below the recipe. Lastly, use a whisk or wooden spoon to mix in the chocolate chips. Most will melt, but you will have some that still hold their shape. Spray the pan with non-stick cooking spray. Use a large cookie dough scoop or a gravy ladle to evenly transfer the batter to the muffin cups. 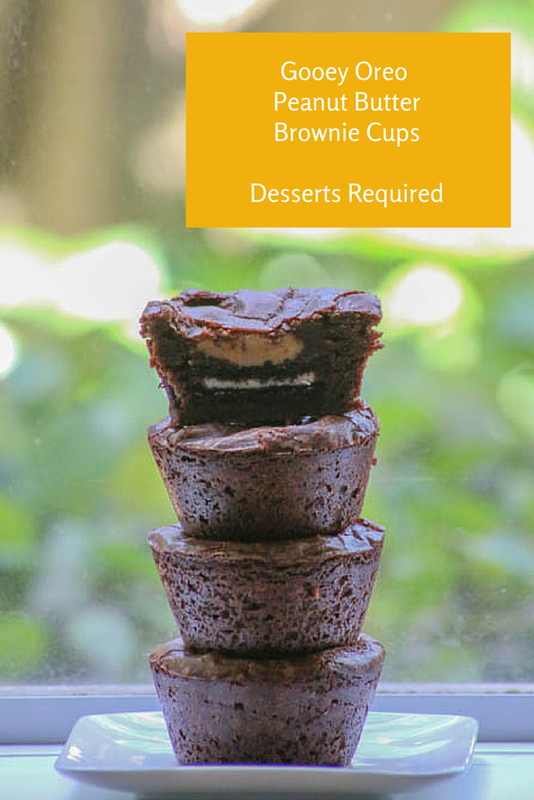 For each brownie, drop ½ of the scoopful into the cup and place an Oreo cookie in the middle of the batter. Spoon 1½ teaspoons peanut butter over the center of each Oreo and then cover the peanut butter with the remaining batter. Remove and cool completely in the pan. Use a small metal spatula to go around the edges of the Gooey Oreo Peanut Butter Brownie Cups. The wonderful people at Dixie Crystals sent me coupons for their delicious sugar and are, generously, providing two cases of sugar for this Giveaway. The opinions expressed herein are those of the author and are not indicative of the opinions or positions of Dixie Crystals. The giveaway is open to readers in the United States. Please leave a separate comment for each entry. One comment equals one entry. The giveaway runs now through December 11, 2014 at 8:00 p.m. The two winners will be randomly selected. They will each be notified via email and will have 48 hours to get back to me or another winner will be chosen. Leave a comment – 1 entry. Go to Desserts Required’s Facebook page and then come back here and leave a second comment telling me you did this – 2nd entry. Go to Dixie Crystals’ Facebook page, tell them you found them through Desserts Required and then come back here and leave a third comment telling me you did this – 3rd entry. The things I could do with all that sugar – my head spins! I’ve tried a similar recipe to the brownies you made and everybody loved them. Thanks so much. There are MANY delicious possibilities. This looks AMAZING, Betsy. Sinful. Perfect. YUM! WOOHOO!! Great to know and good luck! I can make so many amazing desserts with all that sugar! Fingers Crossed! I bet you can!! What would you make first? I visited and commented on the Desserts Required FB page! Visited Dixie Crystals FB page thanks to Desserts Required! WOOHOO!! Another entry!! Thank you! Wow Betsy, that is to die for. I do love brownies and peanut butter. I’m okay with oreos but I think I would definitely need to try these out for sure. They look just too darn good to pass up. I might have to give them a test run for Christmas or we’re celebrating again in January when my nephew returns so one of those times I’m going to have to bring those along. Thank you SO much for sharing this recipe, sounds just so yummy. Thanks so much! They are super duper easy and sooooooo delish! OMG! peanut butter, butter, and oreos all in one sinful bite? I just decided to walk my dog an extra mile this morning! We are on a butter sugar binge at the moment in this house as well as the annual rugelach rolling frenzy has begun! That sugar would come in handy! You crack me up!!! Those 40 pounds of Dixie Crystals sugar sure would be handy with all the rugelach going on. I can’t wait to see the recipe. However, I would prefer to just eat the ones you make! Thanks so much, Beth. Good luck!! Honestly, no one in my house eats oreos but I really want to try your brownie recipe with peanut butter in the center! Delicious combination, especially for this peanut butter freak! Not a problem to eliminate the cookie and just add a scoop of peanut butter to the middle. It will be perfect for the peanut butter freaks of the world…like the two of us! 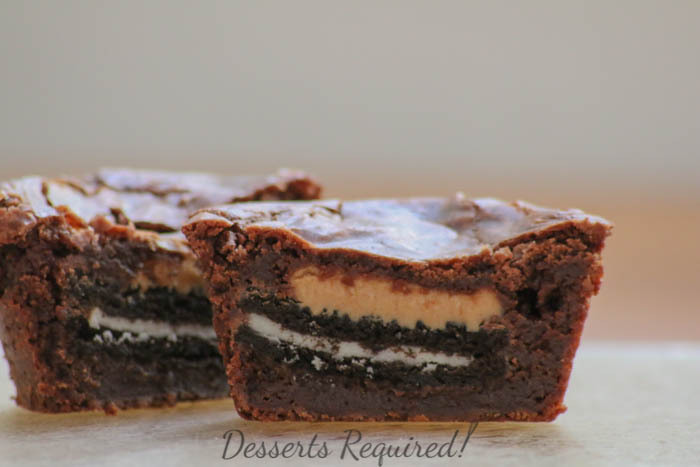 These Gooey Oreo Peanut Butter Brownie Cups look so delicious! You know how to do it! Chocolate and Peanut butter and Oreos?!! Yummo!! I visited and I already “liked” Desserts Required’s Facebook page! I visited Dixie Crystals’ Facebook page and left a message that you sent me over! I also “like” their page! WOOHOO…another entry, Heather! Good luck! I never tell people how much sugar I go through on a regular basis. I actually know people who don’t keep sugar in their cabinet! Can you imagine? Actually, I can’t imagine any sane person not keeping a large supply of sugar on hand. Perhaps they need a sugar intervention to introduce them to the wonderful world of sugar!! 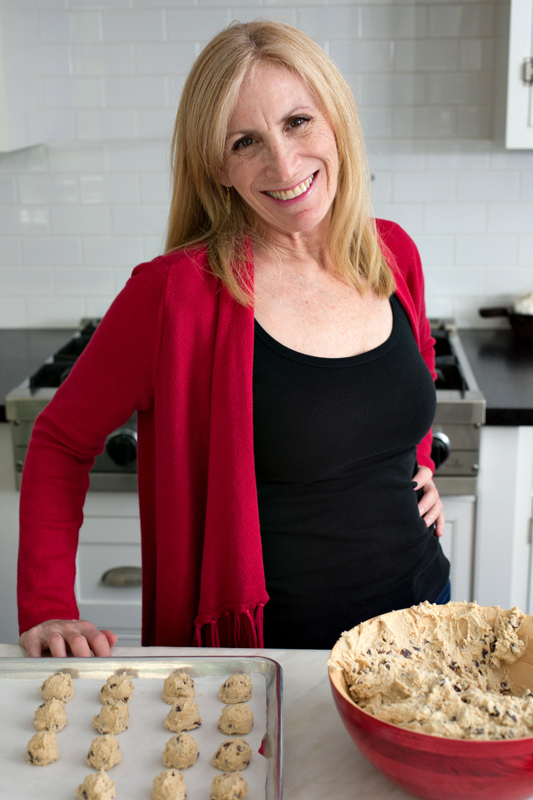 Your Facebook page is a MUST-VISIT during baking frenzies! That s’mores fudge the Dixie people have on their Facebook page….oh my gawd! SO TRUE!! Dixie Crytsals does have a mighty sweet FB page!